I’ve spoken in my blogs about how to deal with the diet side of life so now I am going to write about the exercise part and the cardio workout! Booo I here some of you say! But unfortunately to have successful weight loss and to maintain your final goal, exercise will be part of your daily routine. I spoke before about planning and having to make sure you plan your exercise into your daily routines just like you would plan anything else in your life. You always hear people use the words “fit & healthy” together and this is why eating healthily and exercising is so important because without one you probably won’t have the other. Now there are of course other types of fitness that are also important such as your weights/resistance training – but today I am just going to be focussing on cardio! If you are either working hard on the eating side and are ready to get fit or you are already eating healthy but just looking to get fit then you can choose from a ton of cardiovascular workouts. Finding a cardio workout that you enjoy doing makes your workouts more enjoyable and more successful. You are then more likely to stick to it. I found than running was the exercise that I love as well as Zumba. Here are some great cardio workout choices, but feel free to come up with your own aerobic selections. Your training heart rate range should fall somewhere between 60 percent and 85 percent of your maximum heart rate. To find your maximum heart rate, subtract your age from 220. So lets say I am 25 (eh hum), then I do 220 – 25 and my maximum heart rate 195 beats per minute. 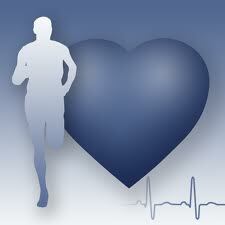 You can check your heart rate during exercise by counting the beats of your pulse for ten seconds. Multiply the number of beats by 6. If it’s too low, you’ve got to work harder. If it’s too high, slow down! If you’re a beginner or haven’t exercised in a while, it is safest to exercise near the lower range of your target heart rate. 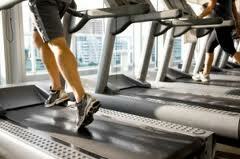 Always start and end your cardio workout in the lower end of the range to serve as an aerobic warm-up and cool-down. Power walking: This exercise can be done anywhere and it puts very little pressure on the joints. Whether you use a treadmill, sneak out your front door, or popping out of the office on your lunch break, strutting your stuff is a safe and effective cardio workout. 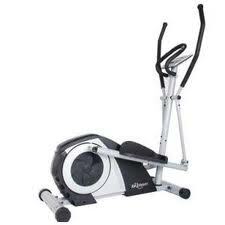 Cycling a stationary bike: Using a stationary bike that has moveable handlebars can provide the added benefit of an upper-body workout. Take the time to imagine being in the country, the mountains, or even the beach. A ride on your bike can help you escape while delivering aerobic results. Adjust the seat so that when your legs are in the down position there is a slight bend in the knees. Use the handlebars for light support, but do not lean into them with all your weight. Keep your shoulders relaxed. As you pedal, keep your knees forward, and not out to the side, to avoid injury. Keeping your knees in a side, frog-like position can irritate the joints and eventually cause pain. Shadow boxing: Jab, punch, right hook, left hook — just as long as your body is moving in large, rhythmic motions. Imagine you are beating down all your troubles. Shadow boxing can help you to manage your stress while you get all the benefits of a super cardio workout. Skipping Rope: Pull out that skipping rope and feel like a kid again as you burn calories and work your heart. If you find it too challenging to jump non-stop, take a ten-second break every ten seconds until your endurance improves. Be patient. Feel free to do this aerobic activity minus the rope if you are a beginner, haven’t exercised in a while or like me, clumsy! Workout step or stairs: Going up and down stairs provides an excellent cardio workout. 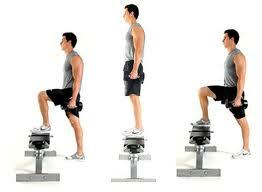 You can use a workout step that is available at any gym or the stairs at your home, office etc. The up and down motion is a great way to get the circulation going and work the heart. For best results, pump your arms during your workout. At the low end of your target zone, you’re barely breaking a sweat; at the high end, you’re dripping like you’ve just run a marathon. If you’re a beginner, stick to the lower end so you can move along comfortably for longer periods of time and with less chance of injury. As you get fitter, you may want to do some of your training in the middle and upper end of your zone. This is his estimated maximum heart rate. This is the low end of his target zone. If his heart beats less than 90 times per minute, he knows that he’s not pushing hard enough. This is the high end of his target zone. If his heart beats faster than 153 beats per minute, he needs to slow down. Okay, so now you know how to figure out your target heart-rate zone. But how do you know if you’re in the zone? In other words, how do you know how fast your heart is beating at any given moment? You can check your heart by taking your pulse manually or using a heart-rate monitor. You can monitor your heart rate to ensure that you’re exercising at the right pace during a cardio workout. Your heart rate (also called your pulse) is the number of times that your heart beats per minute. You can determine this number either by counting the beats at your wrist or neck or by wearing a heart-rate monitor. When you’re just starting to work out, you may not have a good sense of how hard to push yourself. And with all that “no pain, no gain” propaganda, you may be working harder than you really need to. Knowing how hard you’re working during a workout is far more helpful than simply knowing how fast you’re going. For example, running nine-minute miles on a hot, humid afternoon takes a lot more effort than running at the same pace on a cool, overcast morning. By keeping track of your heart rate over a long period of time, you discover some interesting things about your progress. When you’re a beginner, your heart has to work a lot harder to keep up with your body’s demands for blood and oxygen. If you work out on a regular basis, your aerobic system gradually becomes more efficient and you may need to step up the difficulty of your workout. Monitoring your resting heart rate is also a good idea. Your resting heart rate is the number of times your heart beats per minute when you’re just sitting around. When you start exercising, your resting heart rate may be as high as 90. But after a few months of exercising, your resting heart rate may drop by 10 or 20 beats. As you progress with a cardio fitness program and get the hang of the exercise thing, you may find that you want more of a challenge. Instead of being satisfied with a boost in energy why don’t you enter yourself in to a 5K race or one of your local Fit4Life Races which vary in distances and have races as little as 1 mile. Be sure to increase your training gradually; don’t go longer, more often, and harder all at once. Otherwise, you increase your chances of injuring yourself. In other words, it’s not a great idea to do three 20-minute workouts one week and then jump to three 45-minute workouts the next. It’s more sensible to increase the time of just one of your workouts to 25 minutes and keep the others at 20. The best approach is to increase no more than 10 percent each week. So, if you walk 150 minutes one week, walk no more than 165 minutes the next. Treat getting into good cardiovascular shape like a really important ongoing project. You may struggle through the first session, maybe even the first five to ten. But if you stick with it three times a week for at least six weeks, you’ll start to notice dramatic changes. At that point, you’ll recover much more quickly from your workouts. Instead of going home and crashing on the couch, you may feel ready to go out for a walk. How often you need to do cardio for maximum fitness: Five days a week is a good goal to shoot for. Most people feel best with two days off a week; everyone should take at least one day of complete rest each week. How long your workouts should last for maximum fitness: Depending on your sport and your goal, you probably need to mix in at least a couple long workouts — an hour or more — per week. Just make sure you don’t increase the length of your workouts by more than 10 percent a week; otherwise, your risk of injury gets pretty high. How hard you need to push for maximum fitness: Even when you’re training to get in your best shape ever, you don’t want to go all-out every day. (In fact, only serious athletes peaking for an event should ever go all-out — and even then, only once or twice a week.) Your target heart-rate zone includes a large range of intensity levels. On some days, stay near the bottom of the range and go for a longer workout, on other days, push harder and go for a shorter workout. 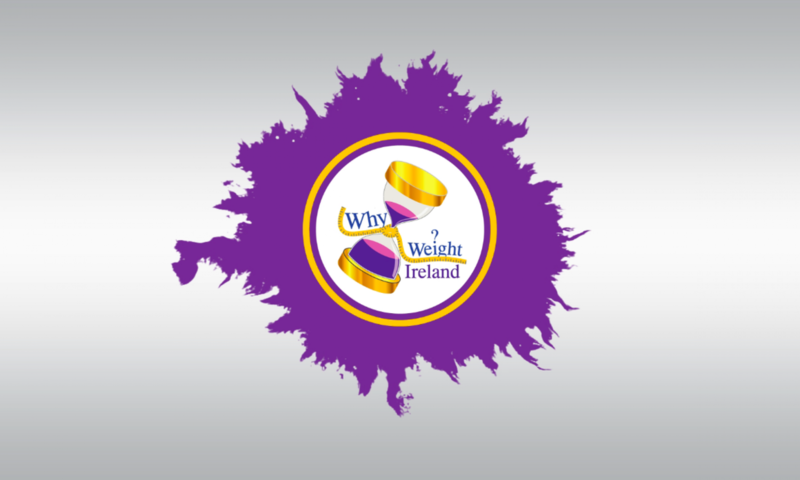 As always please feel free to comment on the Why Weight Ireland Facebook page and share with your friends.